In our house, we love some chocolate chip treats. 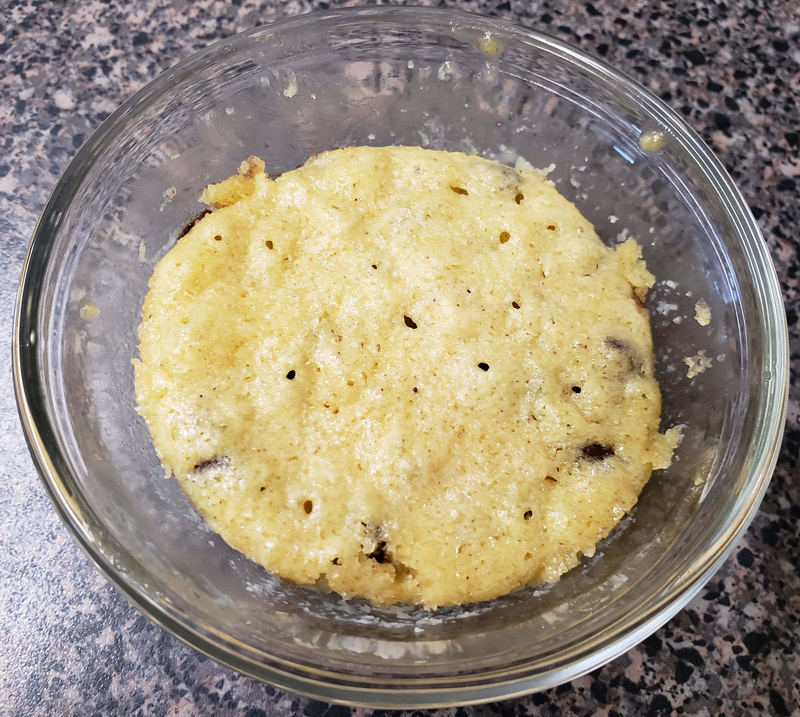 We were so excited to find a quick, easy, keto chocolate alternative to the sugar-laden chocolate chip cookies we used to indulge in. 1. Combine together butter and cream cheese and melt for 20-30 seconds in the microwave in a microwave/oven safe bowl. Remove and stir. 2. Add all other ingredients and stir together adding chocolate chips last. 3. Cover mug with oil, pour ingredients in, smooth and level out the top. 4. Place in the microwave for 1 minute or in the oven for app 10 minutes. Remove, let cool, and enjoy. Especially delicious with a hot cup of coffee.